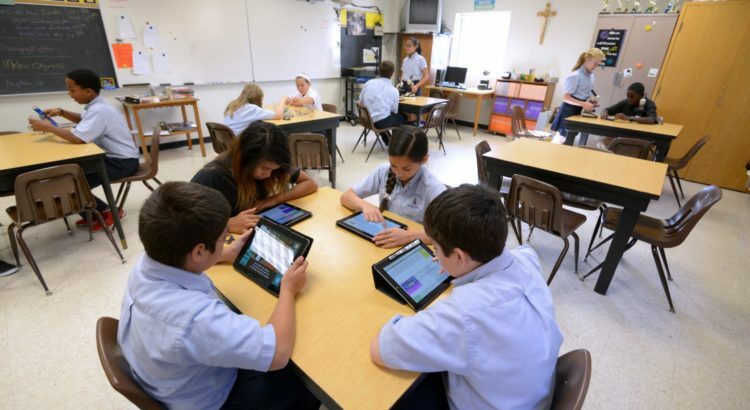 In the beginning of the school year, each middle school student is issued a school-owned iPad for academic use during the school year. Students are expected to treat their iPads with utmost care. Students are required to follow all the directives given by their teachers as well as the rules listed in the Acceptable Use Policy for the iPads and the Internet and the iPad 1:1 Technology Handbook. Appropriate consequences will be given for misuse of or physical damage to the iPads. The iPads (including case, charger, and sync cord) must be returned the the school, at the end of each school year or upon withdrawal.